Straw color. Aromas and flavors of banana pudding, almond creme, and lemon-lime and cream soda with a satiny, crisp, dry-yet-fruity light body and a smooth, breezy finish revealing accents of pear puree with soft, fruit tannins and no oak flavor. An effortlessly drinkable pinot grigio. 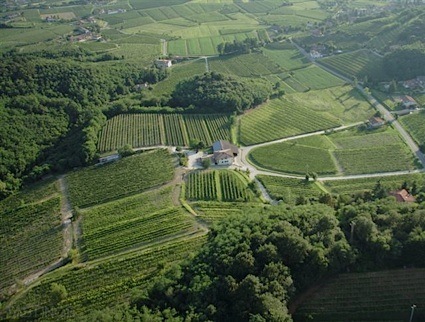 Bottom Line: An effortlessly drinkable pinot grigio. 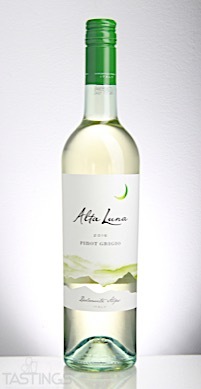 Alta Luna 2016 Pinot Grigio, Vigneto delle Dolomiti IGT rating was calculated by tastings.com to be 88 points out of 100 on 10/5/2017. Please note that MSRP may have changed since the date of our review.